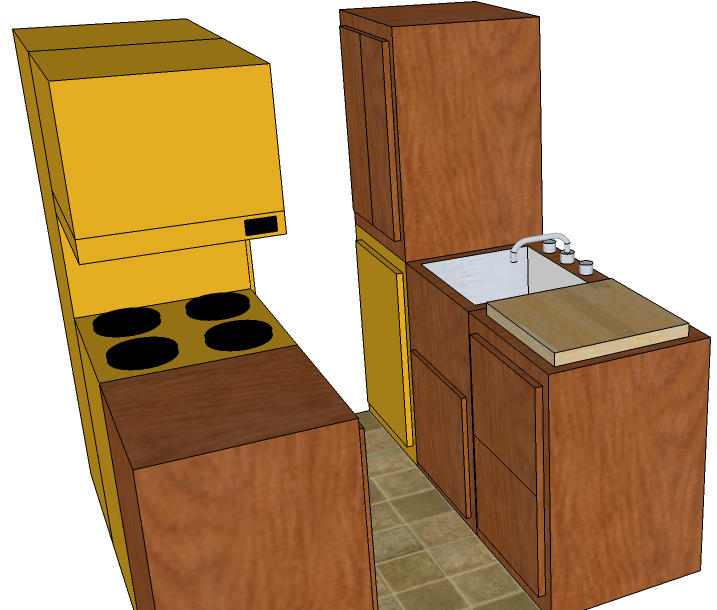 On the right we see a sink, cabinets, and a dishwasher. 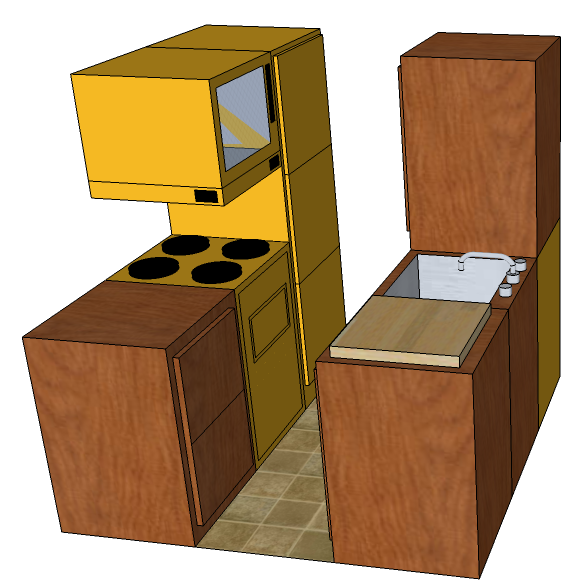 On the left is more cabinet space, a stove, oven, microwave, refrigerator and freezer. Note the central control unit under the microwave. The two touch displays are redundant. 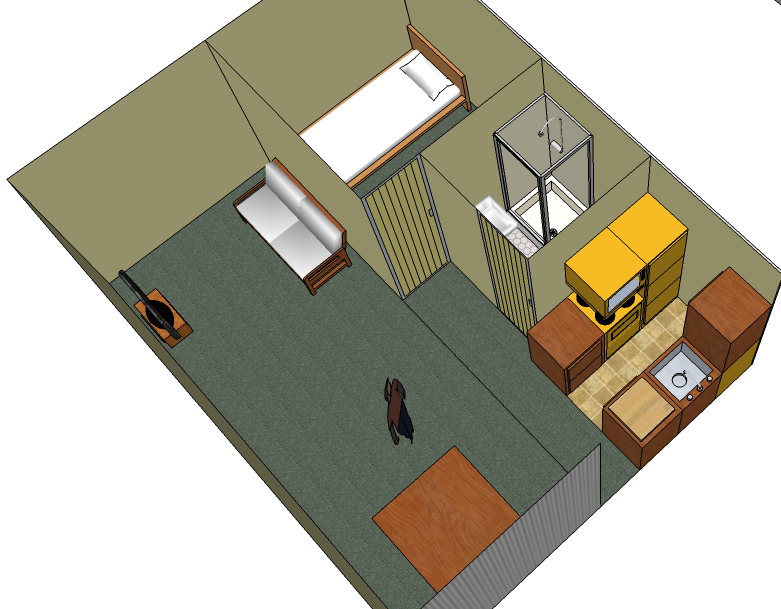 Since space is limited, the basic paradigm is that doors slide out rather than swing or tilt. No knobs or handles are shown here, but that’s more for the sake of illustration simplicity than a preference for ‘touch’ operation. This entry was posted in Uncategorized and tagged Shipping Container, Shipping Container Home, Shipping Container Homes, Shipping Container House, Shipping Container Houses. Bookmark the permalink.